xvii+222 pages with diagrams and index. Octavo (8 3/4" x6") issued in red cloth with black lettering to spine. (Betts: 24-78) First American edition. 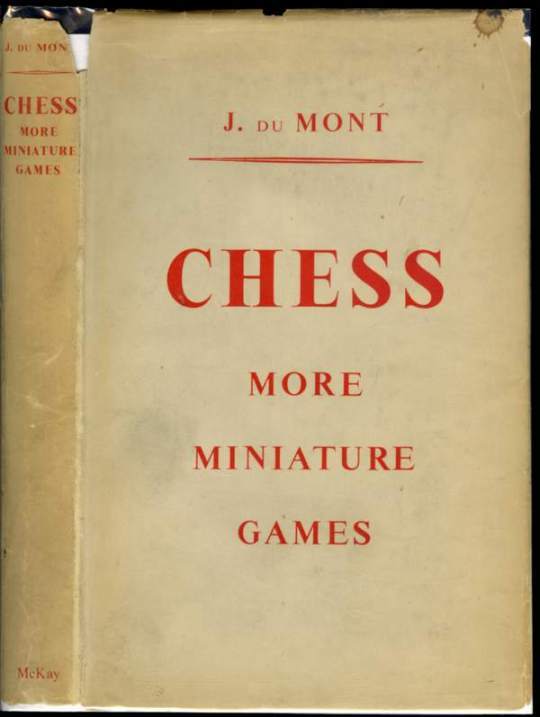 A sequel to his 200 miniature games of Chess. Contains 200 annotated games (with some 120 more included in the notes) in 25 moves or less. The games are chiefly from the Period 1940-1953 and arranged by openings. Includes an index of stratagems and combinations (double rook sacrifice, trapping the queen, etc.). Book sellers stamp on back paste down. Jacket spine ends and corners chipped, soiled, edge wear. A very good copy in like jacket.